It has been a tumultuous 24 hours at UMW, since the Virginia State Police rolled in last night and arrested some protesters who had been occupying the administration building for the past three weeks in an attempt to get the university to divest its portfolio from fossil fuels. It has been interesting, to say the least, to watch the controversy play out in different media. Unsurprisingly, on non-anonymous electronic media (mostly Facebook and email lists, with a bit of Twitter), my connections are mostly to other faculty. The more or less universal consensus in those forums is that the university was wrong to break up the protests and arrest the protesters. The criticisms range from tactical (it was dumb to do at this time and in this fashion) to pedagogical (political engagement is a critical part of a liberal arts education) to substantive (UMW really should be divesting from fossil fuels. I find the first argument to be an interesting thought experiment, if fundamentally unimportant, and personally, I generally agree with the final argument. The second point, about the pedagogical importance of protest on campus, is the most important to me, perhaps because my undergrad experience was shaped by a similar culture. The political consciousness, organizational ability, and social analysis demonstrated by a protest like this one are precisely the capacities that a liberal arts education should be encouraging. But I have also recently, as in within the past couple of weeks, discovered this app called Yik Yak which is all the rage on college campuses. For those of you who aren’t in regular contact with young 20somethings, Yik Yak is an anonymous, location-based social media app that allows users to post anonymous comments (inelegantly called “yaks”). When you open the app, it displays the comments made by people in your immediate vicinity. I can see why it’s popular on college campuses, since it’s basically an instantaneous anonymous comment board. As you can probably imagine, the discussion of the the sit-in and subsequent arrests on Yik Yak is very different from the non-anonymous discussion. It’s much more focused on the specific personalities involved in the movement, much more inclined to call them names, and contains frequent expressions of frustration and annoyance with the protest and the protesters. We shouldn’t be surprised that anonymous contexts bring out the worst in people, but I think it’s something more than that. 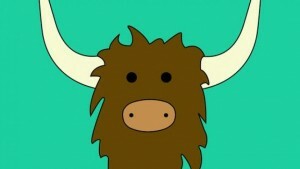 Yik Yak is actually the id of the university community. It says all the things we probably think at some level down in our brain stem, but which we talk ourselves out of because we know they’re not correct or useful. Sure, the sleeping bags are annoying, sure sit-ins smell bad after a few days, and sure most 20somethings are working out their identities as they’re working out their politics. Sure, we all have those thoughts, but we think them and dismiss them because they’re wrong and beside the point. But people on Yik Yak don’t. That’s why it’s the id of the university. It surely isn’t pretty, but I find it useful to know what’s going on in the brain stem of all those other people I see walking around campus. Oh, and in preparation for this post, I googled “yik yak id” to see if anyone had made this observation before. Turns out the app has some problems with the security of its user IDs. Doesn’t seem like anyone else is thinking Freudianly about it.